If you see your Site Audit's crawl in Data Explorer returning a 400 HTTP status code (Bad Request error) for your main page and a resource page having Incapsula in the URL, this is due to the Incapsula plugin on your website. 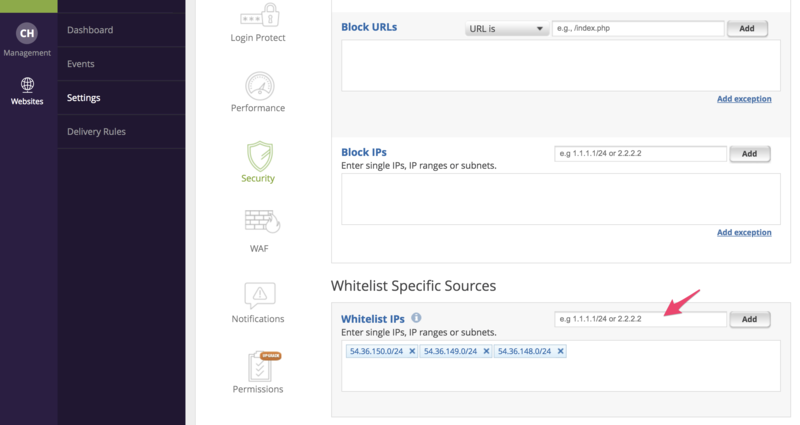 Our crawler user agent is blocked by the Incapsula firewall, preventing us from accessing the content of your pages. Please ensure that you have also whitelisted our user agents ‘AhrefsBot' and ‘AhrefsSiteAudit’. If you need more information on our AhrefsBot, do refer to this page here: https://ahrefs.com/robot. 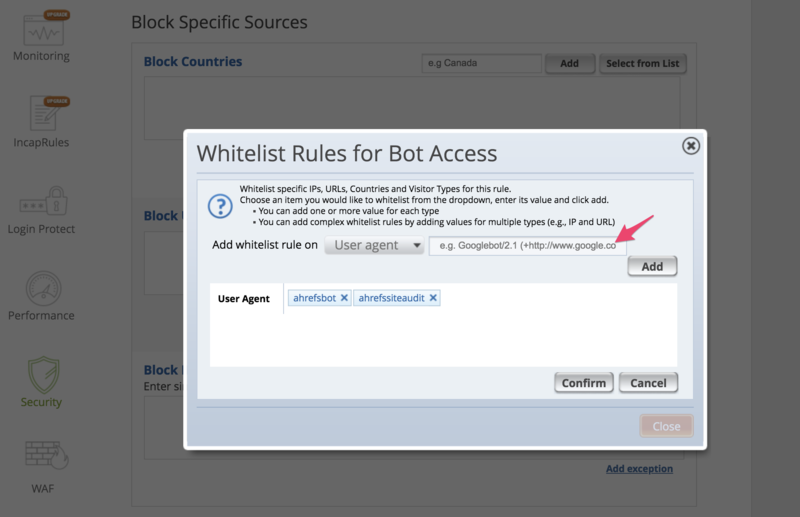 Click on 'Add exception' and the Whitelist Rules for Bot Access window will pop up. Under the dropdown menu, select 'User agent' and key in ‘AhrefsBot' and ‘AhrefsSiteAudit’ then click 'Confirm'. The crawling error usually comes from user’s configuration and if you still face any problem with crawling your website after whitelisting the above, please check in with your provider.